Maria Montessori was an Italian physician, educator, and innovator, acclaimed for her educational method that builds on the way children naturally learn. She opened the first Montessori school—the Casa dei Bambini, or Children’s House—in Rome on January 6, 1907. Subsequently, she traveled the world and wrote extensively about her approach to education, attracting many devotees. There are now more than 22,000 Montessori schools in at least 110 countries worldwide. Beginning in her early childhood years, Maria grew up in Rome, a paradise of libraries, museums, and fine schools. Maria was a sterling student, confident, ambitious, and unwilling to be limited by traditional expectations for women. At age 13 she entered an all-boys technical institute to prepare for a career in engineering. In time, however, she changed her mind, deciding to become a doctor instead. She applied to the University of Rome’s medical program but was rejected. Maria took additional courses to better prepare her for entrance to the medical school and persevered. With great effort she gained admittance, opening the door a bit wider for future women in the field. When she graduated from medical school in 1896, she was among Italy’s first female physicians. Maria’s early medical practice focused on psychiatry. She also developed an interest in education, attending classes on pedagogy and immersing herself in educational theory. Her studies led her to observe, and call into question, the prevailing methods of teaching children with intellectual and developmental disabilities. The opportunity to improve on these methods came in 1900, when she was appointed co-director of a new training institute for special education teachers. Maria approached the task scientifically, carefully observing and experimenting to learn which teaching methods worked best. Many of the children made unexpected gains, and the program was proclaimed a success. In 1907 Maria accepted a new challenge to open a childcare center in a poor inner-city district. This became the first Casa dei Bambini, a quality learning environment for young children. The youngsters were unruly at first but soon showed great interest in working with puzzles, learning to prepare meals, and manipulating materials that held lessons in math. She observed how they absorbed knowledge from their surroundings, essentially teaching themselves. Utilizing scientific observation and experience gained from her earlier work with young children, Maria designed learning materials and a classroom environment that fostered the children’s natural desire to learn. News of the school’s success soon spread through Italy, and by 1910 Montessori schools were acclaimed worldwide. In the years following, and for the rest of her life, Maria dedicated herself to advancing her child-centered approach to education. She lectured widely, wrote articles and books, and developed a program to prepare teachers in the Montessori Method. Through her efforts and the work of her followers, Montessori education was adopted worldwide. As a public figure, Maria also campaigned vigorously on behalf of women’s rights. She wrote and spoke frequently on the need for greater opportunities for women and was recognized in Italy and beyond as a leading feminist voice. Maria Montessori pursued her ideals in turbulent times. Living through war and political upheaval inspired her to add peace education to the Montessori curriculum. But she could do little to avoid being ensnared in world events. Traveling in India in 1939 when hostilities between Italy and Great Britain broke out, she was forced to live in exile for the remainder of the war at the center of the Theosophical Society near Chennai (Madras). There she took the opportunity to train teachers in her method. At war’s end she returned to Europe, spending her final years in Amsterdam. She experienced a new burst of creativity in these years and wrote and published several new books, including Peace and Education, The Formation of Man, Education for a New World, The Absorbent Mind, and To Educate the Human Potential. These books extended and deepened the insights that she had developed in the initial years of her career. In particular she developed the concept of Cosmic Education for the elementary grades, which evoked an expansion of the child’s consciousness far beyond self and family and invited more expression of horme, the child’s vital energy in concert with her reason. Maria Montessori died peacefully, in a friend’s garden, on May 6, 1952. There are so many striking similarities between the common vision of Steiner, Aurobindo, and Inayat Khan and the teachings of Maria Montessori that I can only conclude that all four of these teachers were drawing on the same apprehension of reality and truth. 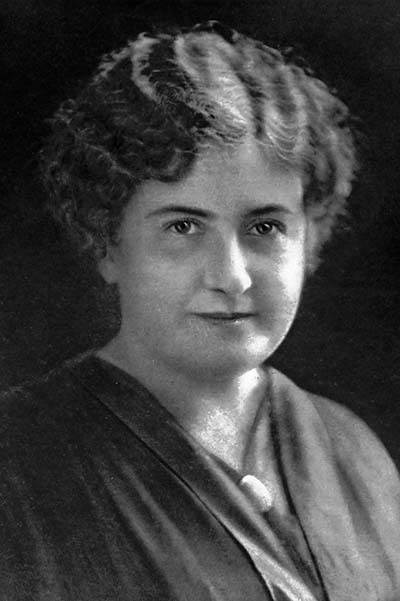 Indeed Montessori even publicized her vision at the very same time as her three “colleagues.” Her first training course for teachers in Italy began in 1909, to be followed by publication of her various books and articles during the next decade. Her first international training course began in 1913. Yet by the late 1920s Montessori was no longer engaged in the research of new perspectives and methods. Rather she devoted her efforts to the preservation of the existing Montessori movement, until the late 1940s when she was imbued with a final burst of creativity and publication. Still, as with her “colleagues,” Montessori’s primary period of discovery came to a close before the end of the 1920s. Montessori described the newborn child as a “spiritual embryo” and understood the child’s nature as a whole system, including the sub-systems of vital energy (what she called horme), physical body, and mind. She described these sub-systems as interrelated and interpenetrated. Montessori taught that each child contains vital energy or horme that directs her growth by motivating her to meet her growth needs during each period of development. This vital energy serves as an inner guide for the child. Parents and teachers must give the child freedom to follow her inner guide. When the child can do so, she develops both her will and her concentration. Montessori defined three periods of development in the life of the child and youth: from birth through age 6; from 6 to 12 years; and from 12 to 18 years. (She also defined a fourth period at the end of adolescence, from 18 to 24 years.) Each period contains sensitive periods: times at which the child is developmentally ready for a particular kind of growth and must accomplish this growth if she is to develop to her potential. Montessori maintained that the will of the child must be nurtured, and never broken. Montessori described the child’s primary means of learning during the first period of growth as her “absorbent mind.” Absorption and imitation are two ways to describe the same process of learning. Montessori taught that the function of education is to give the child opportunities to express her inner guide within an appropriately prepared and safe learning environment. An education based on this principle will help the child to develop independence, self-discipline, concentration, motivation, and sensitivity. Finally, Montessori taught that the role of the teacher is not to control or direct the child but rather to prepare the learning environment and then nurture and support the child. For this work, the teacher must focus on the development of her own spirit, character, and imagination. She must understand that her work is to be of service to the child’s spirit and that the child will reveal who she is becoming over time. Although she calls the child a “spiritual embryo” and employs some of the language of the spirit, Montessori’s vision does not describe or detail the spiritual elements of human beings. Thus, it omits significant aspects both of the description of human beings as whole systems that include spiritual energies and of the spiritual context in which we live. Although Montessori’s vision does deal with some issues of the emotions, it does not provide a systemic exploration of the sub-system of the vital or emotional being. Thus, her vision does not deal in a comprehensive way with the whole realm of the emotions, desires, and feelings, an important set of elements in describing human unfoldment and in articulating principles and practices for child raising and education. Montessori’s vision does explore the relationship between the physical body and the mind as the child grows. However, it does not contain the richness of description of the interrelationships among the physical, vital, mental, and spiritual sub-systems of the child and youth that is offered in the common vision of Inayat Khan, Steiner, and Aurobindo. Finally, Montessori urges that the child be encouraged to develop her cognition during the second half of the first era of unfoldment. She argues that these years are a sensitive period for the development of writing skills and for the learning of vocabulary, grammar, and numbers. While, of course, she would not teach any of this directly, she prepares the learning environment in such a way that the materials there encourage the child to embark on this kind of learning. Steiner, Aurobindo, and Inayat Khan strongly disagree with this approach. While they note that the child can learn all of this effectively during these years, they maintain that it is profoundly undesirable for such topics and skills to become the focus of learning. Rather, these years should be a time of imaginative, self-directed, noncompetitive play. Such play helps the child to develop her spiritual nature in its fullness and to prepare for her transition from the first era into the second. This is disagreement separates Montessori significantly from the common vision. Maria Montessori’s teachings are clearly a visionary work of genius. So, I mean no disrespect for Montessori by omitting her from authorship of what I call the common vision. Obviously, she articulates significant sections of this common vision in her work. Yet I have chosen not to include her (1) because she does not provide significant sections of this vision, none of which are left out by Steiner, Aurobindo, or Inayat Khan, and (2) because she characterizes the needs of the second part of the first era of childhood in a profoundly divergent way from her colleagues. So far Montessori’s work has had a much greater impact on the world of schools than that of all three of her colleagues together. Perhaps, over time, her teachings will help to bring parents and educators to those of Steiner, Aurobindo, and Inayat Khan, so they can learn from the visionary teachings of all four of these teachers.